Odds-on favourite Nature Strip (right) has been made to work hard for his McEwen Stakes victory. Nature Strip has broken the 1000m track record at Moonee Valley in his latest audition for The Everest but has still been given a fright by Houtzen in the McEwen Stakes. The boom sprinter was the $1.50 favourite in Saturday’s weight-for-age sprint and his trainer Darren Weir indicated they wanted to take bad luck out of the equation by holding the lead from barrier one. Nature Strip sped along in front under jockey Mark Zahra, with Sunday Escape sitting just off him, before Houtzen came off the favourite’s back in the straight to give chase. Houtzen closed late but Nature Strip prevailed by a half head with The Everest-bound Shoals 3-3/4-lengths away third. Nature Strip clocked 56.95 seconds, bettering the previous record of 57.19sec set by Sweet Emily in 2014. Two of the 12 slot holders for next month’s $13 million The Everest (1200m) at Randwick have yet to declare their runner, with Nature Strip considered one of the main contenders for a slot. Weir said he had left negotiations to the sprinter’s owners. “They’ve said to me during the week they’ve had interest from a couple of parties,” Weir said. 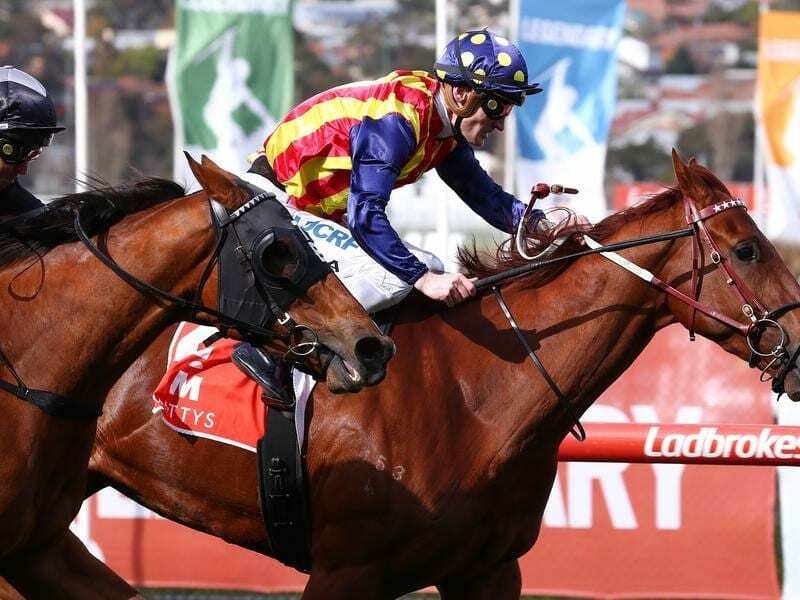 Weir says Nature Strip is the fastest horse he has trained and is adamant the performance will bring the gelding on again for the Group One Moir Stakes (1000m) later this month, ahead of a possible Everest tilt after that. “The second horse is a great horse and no slouch, and she was charging late,” he said. “Obviously the time backs it up.